This case was designed for Smart Technologies. 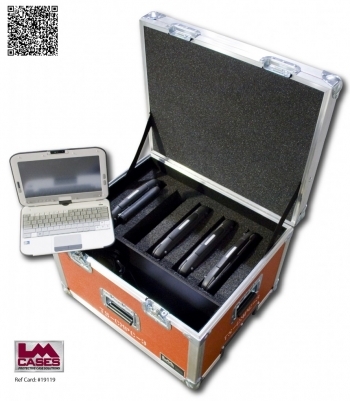 The case holds 5 of their CMPC mini tablet computers in a custom CNC cut foam insert. The case is continuously shipped via UPS so lightweight and durability were a major concern. Because of the weight issue, we built the cases out of our proprietary 3/8" composite panels. 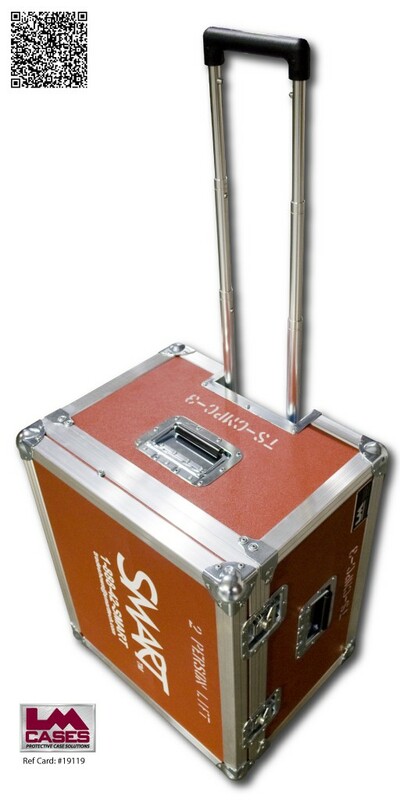 The exterior case features our Tilt N' Travel option which included field replaceable 3" dolly casters and a telescoping aluminum handle, the case also features a silkscreen of the companies logo. Special thanks to Smart Technologies!